It's Christmas season and this year Amazon, the new king of retail, is combining their digital success with a traditional marketing staple - wait for it… a toy catalog! One big difference? The catalog has no prices listed next to the toys, you have to visit Amazon's website to see pricing, with QR codes scattered throughout the catalog for phones to scan. Social media is a powerful tool to gather your fans and use their individual and collective brains to step-up your marketing game. Focus groups and polls can help you choose new paths on product development. Social media campaigns can be used to crowdsource user-generated content that can be republished in traditional formats. A good example of this is Doritos 10 years of contests where people created their own television ads, which were voted on by the public and then the winner was broadcast to the masses as a Super Bowl advertisement. Traditional print advertising, when used cleverly, can result in viral-like results similar to social media posts that catch fire. A great example comes from Ikea. They noticed a blue designer handbag that looked strikingly similar to their 99-cent shopping bag and took advantage of the opportunity to make a comparison. Marketers must leave a certain amount of their marketing plan and budget to be flexible and agile enough to jump on an opportunity like this when it presents itself. 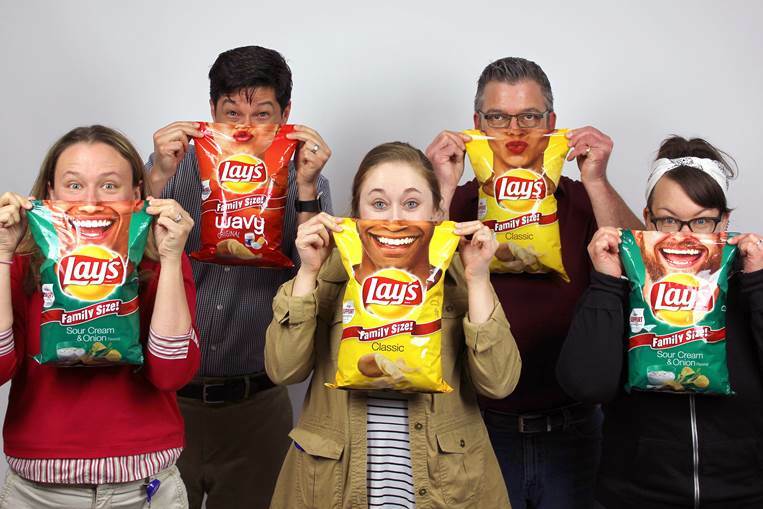 Print and packaging can be the trigger for your fans to post to social media – like the Smile With Lays campaign. They printed different model mouths across limited edition bags of chips that just begged for funny selfies to be taken and posted online. You too, can create social media triggers with printed marketing pieces. Think about moments in the customer experience when your fans are likely to celebrate. For example, Goldfish Swim School uses printed Student Progress Reports to show how little swimmers are advancing through the levels. Having these printed report cards often results in proud parents posting pictures of kids holding the report to social media to celebrate their new skills. I don't eat Kentucky Fried Chicken. But I love their marketing. A few years ago KFC rediscovered their why in Colonel Sanders and focused on him and his original recipe. They've carried the colonel's message across all forms of traditional and digital including TV, radio, social media, in-store food packaging and even wacky promotional items like a giant pool floatie in his likeness. They went from years of declining sales to multiple straight quarters of growth. Multi-channel campaigns that are cohesive and repeated across multiple channels over a period of time increase stickiness in the consumer's mind. So be sure you are not putting all of your eggs into a single basket, as a comprehensive approach may lead to a stronger ROI.